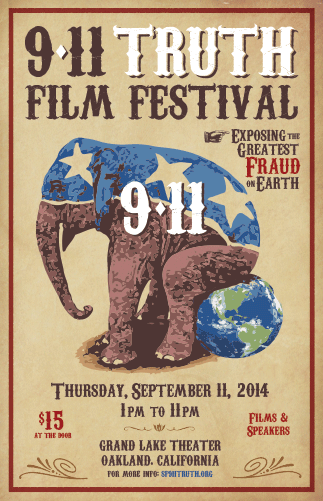 9/11 Explosive Evidence – Experts Speak Out which is the documentary film made by the 2,000 strong Architects & Engineers For 9/11 Truth founded by Richard Gage, AIA in 2007 whose mission is to obtain a real investigation into the destruction of all THREE World Trade Center high-rises on 9/11.... airs in the North Bay on Sunday afternoon at 3:00PM. to Go Digital in NYC! 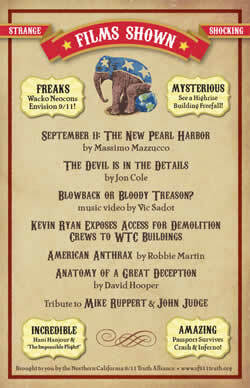 We have some good news and some bad news to share about our 13th Anniversary ReThink911 billboard, but don't worry! We think the good news far outweighs the bad. The good news — (and we think it's really good!) – is that we found an even more stunning billboard just one block away at the corner of 42nd Street and 8th Avenue. 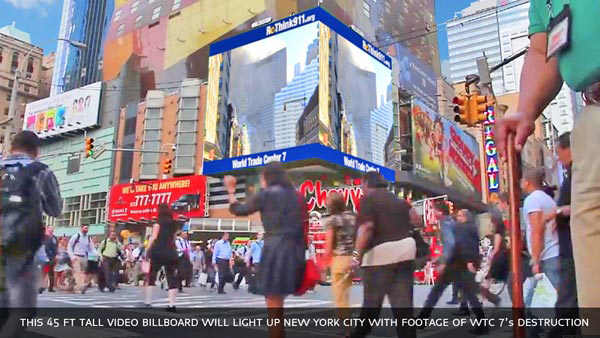 Not only does this billboard draw maximum attention by facing in two directions while towering over one of the busiest intersections in Manhattan; but it’s also digital, which allows us to show practically life-size video footage of WTC 7’s symmetrical destruction. And that’s exactly what we plan to do!